The franchise consumer marketing web site (or your corporate web site) is where potential or returning consumers go to find out more information about your franchise products, services and locations. Every franchise needs a consumer marketing web site to brand their company and drive traffic to the franchisees. Your franchise consumer sites should be able to accurately depict what you do and help your franchise grow by driving leads and boosting sales. By adopting good franchise wed design practices into your franchise consumer web site, you will likely increase your online presence and earn higher search engine ranking positions. Each franchise consumer web site should have a store locator software that includes all of the franchise’s locations. 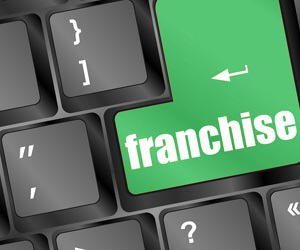 Franchise locators are an essential aspect of franchise web design. They allow people to do a search by zip code, city or state and find locations nearest to them. If you have less than 20 locations, you may choose to simply have a list of locations by city and state. Whether or not you have a micro site dedicated to each franchisee, we highly recommend that each franchise at least has a dedicated location page for each franchise doesn’t matter if is a food franchise or a beauty saloon, which you could manage with the SalonTouch Studio that work perfect for these kind of business. These are important for franchise web design and usability, as well as for Google Plus Local and search engine optimization. When you fill out your Google Plus Local account, the profile creator will ask for a URL to the franchise web site location. You will want to add a web site URL directly to each location page on your national consumer web site. This page should also have geographically targeted phrases in the content and meta descriptions. It should also have the exact same name, address and phone number that are listed for the location in the Google Plus Local account. Making sure the information for each location is consistent is vital in local search marketing.